HomeChiang MaiHug and Care for the Elephants & Enjoy a Magnificent Waterfall! Learn to respect these magnificent, intelligent animals. Let's relate to them and see how they relate to you! Bathe and play with them in their natural environment. There's NO RIDING OR TAKING ADVANTAGE of them. Then, let's relax at a waterfall! We arrive at the camp and we'll start on a briefing session on trekking (10 mins)! Play with, bathe, and take photos with the lovely elephants! Then, let's take them into the jungle and give them food! Time to enjoy lunch and relax in the natural sceneries! Time to take your chance! 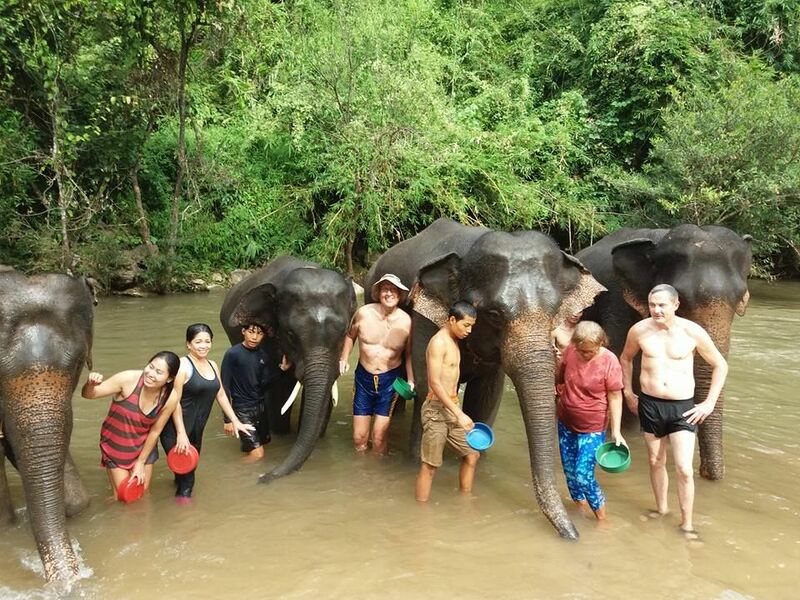 Take elephants to the river for a mud spa! Bathe, play and enjoy being with them! Let's take a walk to a waterfall and enjoy a swim there in the blazing hot day! Visit souvenir shop and return to hotel! The trip ends here! I hope you enjoyed the trip! Learn more about elephants, experience their intelligence, grow your respect for them, have fun with them! Enjoy a tropical waterfall. Swimming costume, towel, change of clothes, good shoes, sunscreen lotion, insect repellent. Our tour with Sunshine was so much fun, she is so sweet and helpful and fun to be around and accommodated all our needs. The sticky waterfall was so amazing, I’d definitely recommend checking it out. Couldn’t have asked for a better tour! And Sunshine took the best pictures, she’s great!